Payiong it forward is good for the soul and better for the community. Here are a few special organizations I hold close to my heart. If you have been touched by me and my service and are looking for a place to "pay it forward" please consider donating to these wonderful organizations. The Rise School of Dallas provides the highest quality of early childhood education services to children with Down Syndrome and other developmental disabilities and to children without disabilities in an inclusive classroom setting with master's level educators and on-staff speech, occupational, physical, and music therapists. This is a cause close to our family's heart, supporting my nephew Ronen who has Down Syndrome. The Ronen Rosenberg Playground is a gracious contribution from my brother Barry's in-laws. The Hollywood Arts Council is a non-profit founded in 1978. Dedicated to contributing to the quality of life in Hollywood by promoting, nurturing, and supporting the arts. Although I am no longer a member of the Board of Trustees, I still encourage all of us to keep the arts alive and vibrant in our community. Please join as a member and get involved. The arts are important. For the past 18 years I volunteered to teach mosaics at the ECF Center, a non-profit that mentors and promotes artists with intellectual disabilities. This is an amazing group of unique and talented artists. It has been my privilege to teach, donate art supplies, and take them on fields trips. 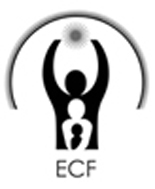 ECF has been around for 30 years and I strongly encourage you to attend their art exhibitions. The mission of Lighthouse Youth Services in my hometown of Cincinnati is to advance the dignity and well being of children, youth and families in need. They promote good citizenship, responsible behavior and self reliance. My mentor and high school art teacher Dorothy Dobbins was honored many years ago at LYS and I am continuing in her memory by donating to their yearly fund raisers. Lighthouse Youth Services does an amazing job in the community. Evelyn Lauder founded the Breast Cancer Research Foundation in 1993, which has raised more than half a billion dollars for lifesaving research. Their mission is to achieve prevention and a cure for breast cancer in our lifetime. Currently, ninty-one cents out of every dollar spent by BCRF is directed towards breast cancer research and awareness programs. As a breast cancer survivor my mother, Elaine Rosenberg, decided to donate all proceeds from our award-winning book, Thursdays with Mom & Michael to the foundation. May your family live cancer-free.